A popular radio preacher and founder of Gospel Fire Army Ministry, Nkwele-Ogidi, Anambra State, Chinedu Strongson, has been arrested in connection with child abduction and trafficking in persons. The 48-year-old cleric was paraded on saturday at the police headquarters, Asaba, Delta State.According to the state police commissioner, Zana Ibrahim, who paraded the suspects, 12 stolen children were rescued from the pastor, adding that he allegedly paid N400,000 for each child sold to him. Nigerian Tribune reports that , the pastor denied any involvement in child trafficking, saying that his business was to help humanity including payment of school fees for children. Trouble started for the pastor when one Aisha Yahaya of Asaba reported how two ladies came to her house as police detectives sent by her husband now serving at Ogwashi Uku prisons. Aisha disclosed that she followed them to a junction where they met one Abigail Nwakama, also known as Madam Cash, who gave her N3,500 to alleviate her poverty and asked her to buy clothes for her one -month-old daughter. 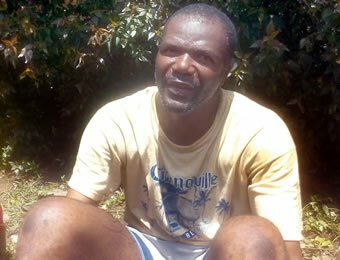 In the process, the said child was allegedly stolen by the syndicate, prompting her to raise the alarm which led to the arrest of the two ladies. Based on the report, the commissioner said detectives swung into action and arrested one Onyinye Nwakama, daughter of Madam Cash, at a drinking bar in Asaba.Also arrested were Madam Cash (32 years) and Ifeoma Anyadike, (32) at Okpanam before they led detectives to Ogidi where the pastor was arrested. Others arrested from different locations are David Ikesinachi; Ebere Edwin, Adaeze Enyi and Chike Agwunenu. 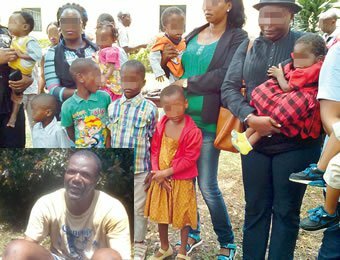 Two of the rescued children, the commissioner of police said, had been handed over to their parents while the remaining were kept at an orphanage in Asaba pending identification by their families.